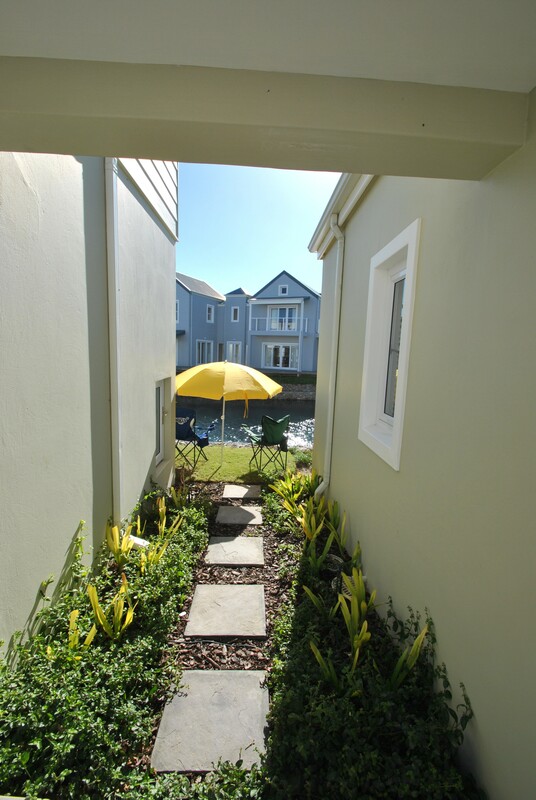 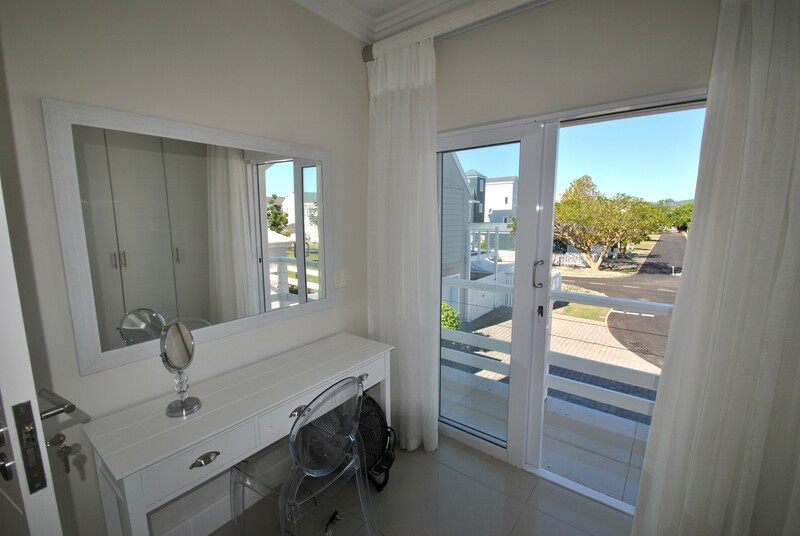 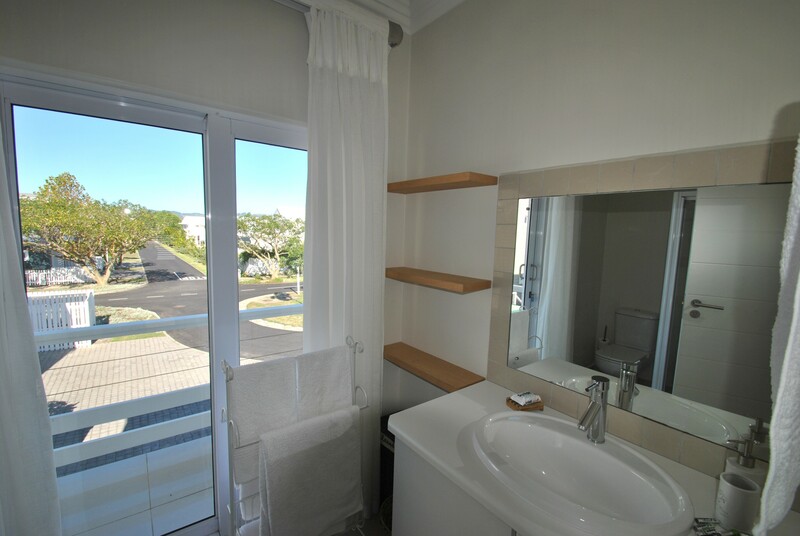 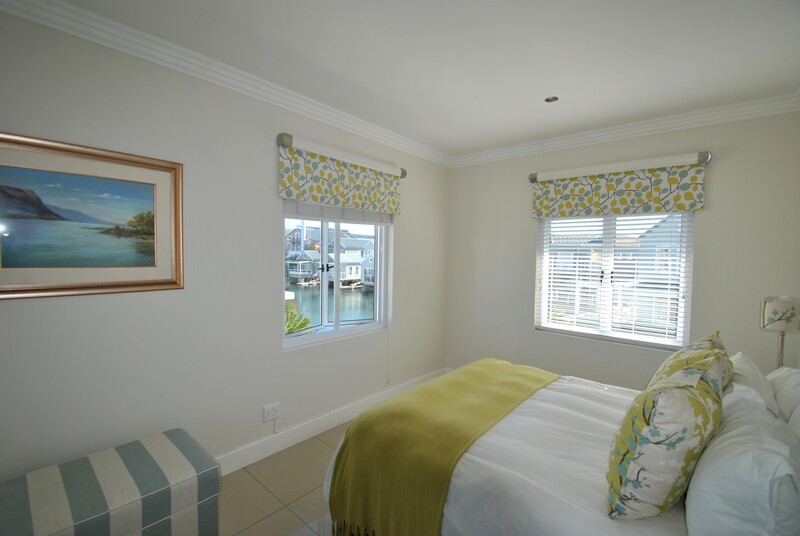 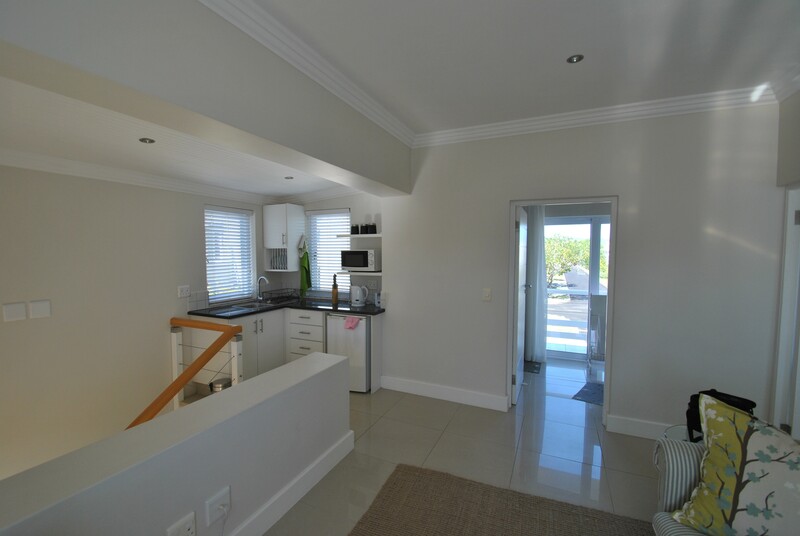 This modern, contemporary 1-bedroom apartment on Thesen Island has an airy and spacious lounge area and kitchenette. 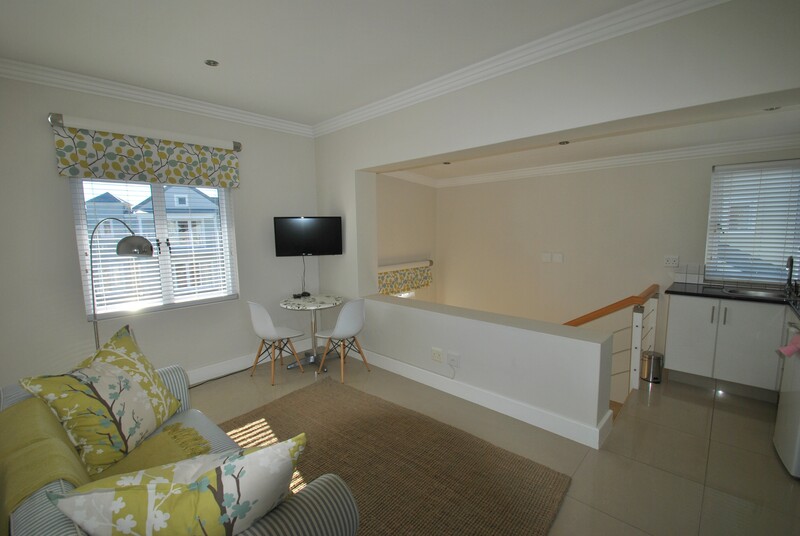 The main bedroom has a queen bed and there is a sleeper couch in the lounge, suitable for children only. 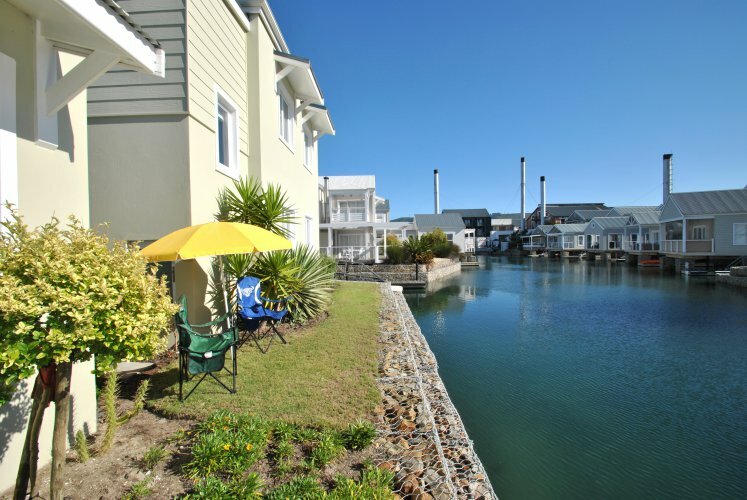 There is access to the canals with a grassed seating area overlooking the water.